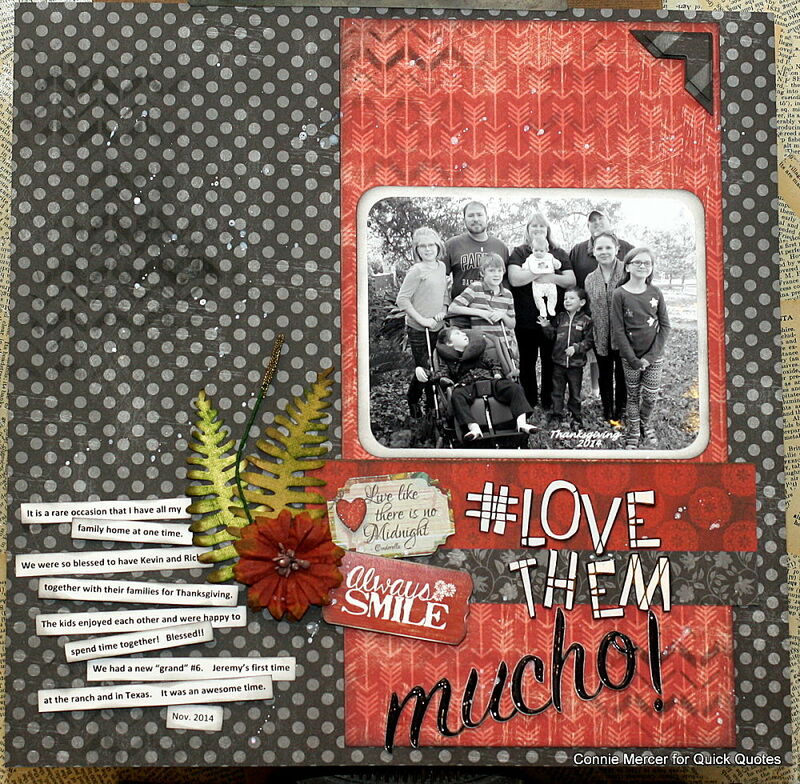 crafty goodies: Quick Quotes ~ Mucho love! Quick Quotes ~ Mucho love! 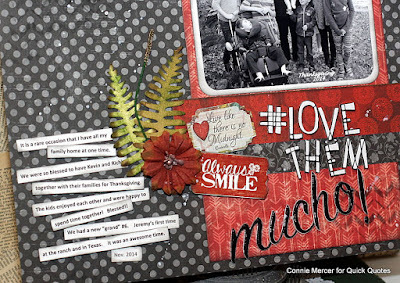 Hi, Connie here with a scrapbook page combining papers from the 49 Shades Of Grey Collection and the Whistlin' Dixie Collection by Quick Quotes. So many of the papers go well together, so know need to work with only one collection at a time. The background sheet and the center sheet have stenciling and splatters for added texture and dimension. 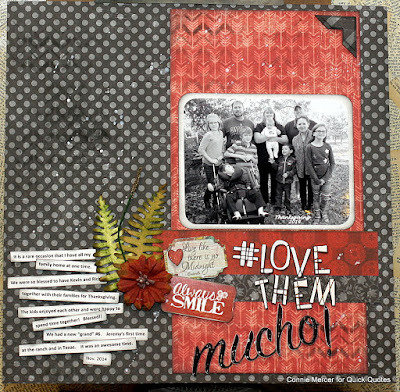 The embellishment cluster is using Quick Quote products and the flowers are by Petaloo. I love that color combo and those journaling strips - oooooo. Love it. This is gorgeous! LOVING the colors and the title work!!!!!!!!!!!!!!!!!!! Lovely! My favorite part is the journaling strips! Great job! I love it Connie! Always like polka dots and the red patch is a great accent. I really like the word strips and the cluster of embellishments. A scrapbook page with S.e.i. Try It Tuesday~jello heart tins!! Folk Flower stencil by Clear Scraps! Try It Tuesday~Stars by Darkroom Door!! 49 Shades of Grey with Quick Quotes! Word Frame from Clear Scraps! Try It Tuesday~ Indiana junkin'! Champion Word Block by Darkroom Door! Top 10 projects for 2015!! Clear Scraps~ Extra Small Clipboards!! Catch of the Day~ with Bella Blvd.